Proceeds from the race benefit the Beulah Educational Support Team, a 501c(3) organization which provides funding for educational programming at the Beulah School of Natural Sciences. The Beulah Educational Support Team is an independent, community-based, Non-profit organization dedicated to supporting the education of children at the Beulah School of Natural Sciences. Our purpose is to provide sustained financial support to the Beulah School of Natural Sciences in order to enrich academic programs, enhance learning opportunities, and to promote educational success. The Beulah School of Natural Sciences strives to develop a curiosity and appreciation for the natural sciences in all of our students. We empower our students with a quality education by integrating natural science topics and concepts throughout a rigorous, standards- based curriculum. Students develop knowledge of and connections with their nearby natural surroundings. This knowledge is enhanced and reinforced through active, hands-on learning and reflection upon the interconnectedness of our society and the natural world. Beulah School of Natural Sciences is dedicated to the success of each student as citizen, scholar, and steward of the natural environment. Money raised at The Beulah Challenge are available for grants that are written by school supporters—parents, teachers, clubs, etc. Grants are made to those who seek funds to create projects that further the school's mission. 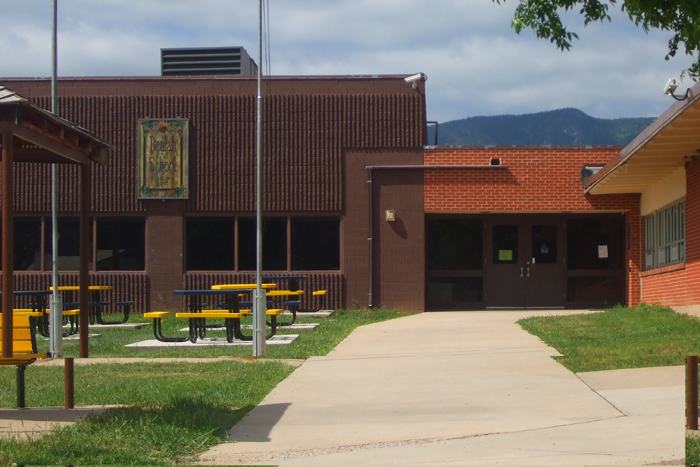 We have funded an After School and Friday Care Program (BEST Care 4 Kids), tutoring (Elementary and Middle; in Beulah and in Pueblo for commuting students) a community garden, science equipment and other big-ticket items that are beyond the budgets of the District and the Booster Club.